My experience in Nepal was amazing. I started out a shy and very nervous girl with little life experience and 4 months later I came back to the UK very confident, with heaps of great teaching experience, unbeatable memories and lifelong friendships. For me, Oyster offered an unbeatable programme of cultural immersion, voluntary experience and organised treks and excursions all added to a comprehensive timetable. As I had never been away without family before, having a fairly organised structure really helped. I was able to explore Nepal during activities pre-arranged by Oyster, but along with my group we also arranged our own trips, such as watching the sunrise over Nagarkot, and bungy jumping, on top of socialising every weekend! Being a volunteer teacher was by no means easy, and I am incredibly proud of myself for overcoming initial nerves to teach classes of around 40 children. I learned an incredible amount as a teacher and (hopefully!) imparted some knowledge too! In fact I was so inspired by teaching in Nepal that I completed 2 years as a Teaching Assistant back in the UK and this September I start my PGCE at Cambridge in order to become a qualified teacher. In Nepal I found the one major thing which was lacking in the curriculum was creativity. All teaching was done using set text books. Therefore I decided, with permission from the headteacher, to focus on creative writing with the children. I felt well prepared for teaching, as we had some detailed training delivered during the pre-departure course. A highlight for me, as well as the awesome treks and safari, was living in the village with a traditional Nepali family. This experience was like none other I have had or ever will have again. I learned so much about Nepali culture, eating the staple ‘dal bhat’ twice a day, going to weddings at least once a week and waking up to my Nepali brothers turkey squawking at 5am every morning are just a few memories I will never forget! Thank you Oyster for a FANTASTIC 4 months. 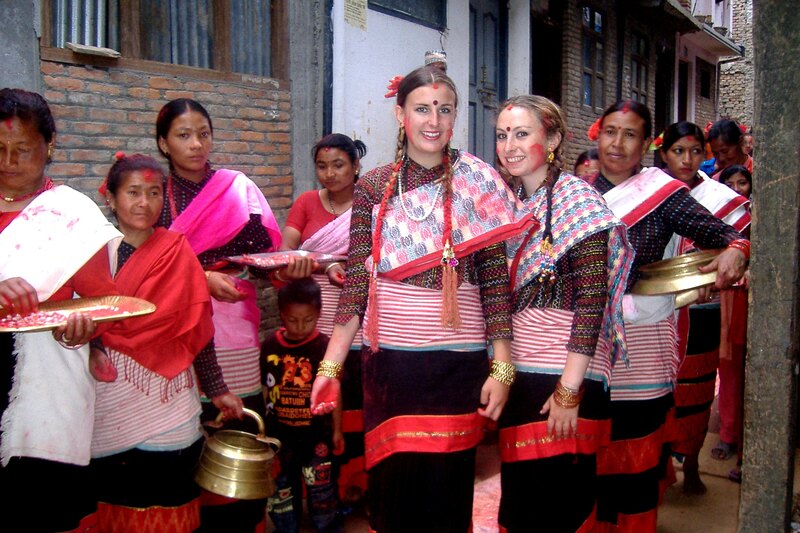 6 years, 2 universities, and countless residences later… Nepal still tops all my experiences! For more information on our Nepal teaching programme please visit our webpage or get in touch with Sarah the destination manger on +44 (0) 1892 771973.